Photograph of The Mayflower, Plymouth, Massachusetts. Plymouth is the home to two American icons, Plymouth Rock and the Mayflower. 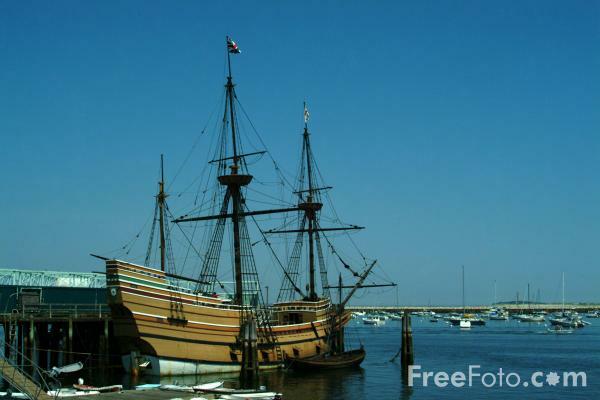 The Mayflower II is a replica of the ship that brought the first Pilgrims to Massachusetts. VIEW: More images from the category Plymouth, Massachusetts or taken at the same location or around the same time .